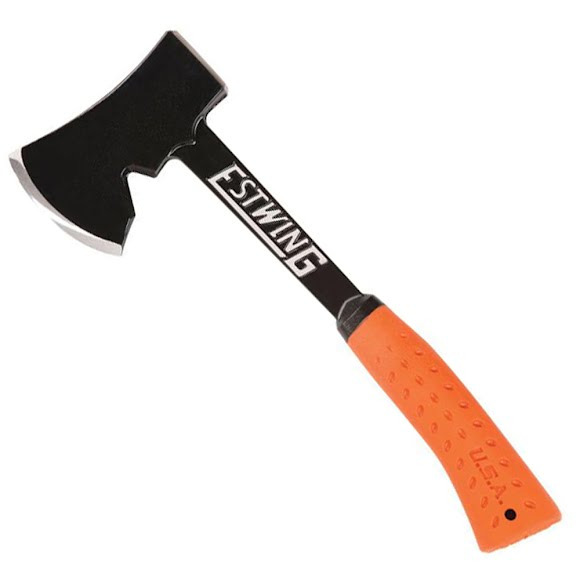 Estwing&apos;s Camper&apos;s Axe is the outdoorsman&apos;s "must have" tool. Because it is fully-forged in one piece with the handy tent stake puller and Estwing&apos;s patented Shock Reduction grip, this is a tool that will last generations. Whether you are chopping firewood for a campsite or your backyard fire pit, the camper&apos;s axe is the perfect size and weight for the job. Each axe comes with a heavy duty sheath.